A general view of atmosphere during the Amazon Prime Summer Soiree hosted by Erin Foster and Sara Foster at Sunset Towers. 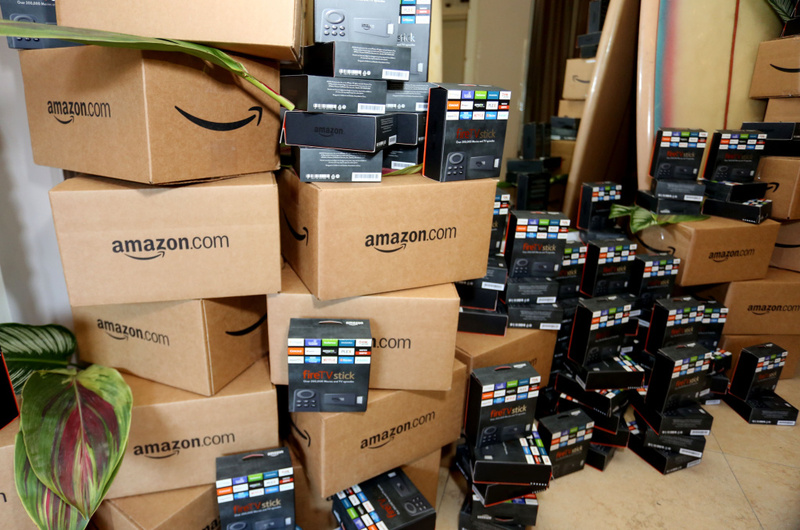 This week, Amazon increased the threshold needed for non-members to qualify for free shipping as it seeks to add more people to its $99 annual Prime loyalty program. Non-members must now spend a minimum of $49, up from $35, to get free shipping. Members don't have a minimum. More Prime members would mean more packages for more customers, more delivery trucks and more cardboard. On the other hand, it will also mean fewer trips to the mall. Are more online shoppers good or bad for the environment? While excessive consumption is problematic, existing studies (which cannot be conducted at the rate of marketplace changes) are split on the environmental impact of e-commerce versus brick-and-mortar shopping. What are the consequences of more urban freight and likely more packaging?